2012/04. Based on European law, French small claims court says imposing the purchase of the operating system is an agressive, hence forbidden, commercial practice. This decision marks a major step: for the first time, the argument used is very direct. For more detail, see story and legal comment. This makes legal action easy in Europe. 2012/02. Lenovo, a historical symbol of hardware-software bundling, condemned in France, based on European legal ground. Read story in EN FR. 2011/10. French Court of Cassation declares that the price of the software licence must be provided by the professional to the consumer. Read story in FR. 2010/10. French Court of Cassation declares that concerning hardware-software bundling whether for the manufacturer or for the vendor (twin decisions on same day), the French law on bundling must be interpreted with due respect to Directive 2005/29/CE. Read story in EN FR. 2009/11. T's ruling makes it clear that the consumer chooses the hardware rather than software. Read story. 2009/05. Sierra's story comments the ruling based on the lack of information. 2007/07. 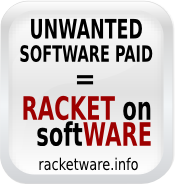 Antoine's exceptional refund story: the lack of information on the software price benefitted fully to the consumer. Additional stories can be found on the websites listed in the contacts worldwide as well as on the FSFE wiki.